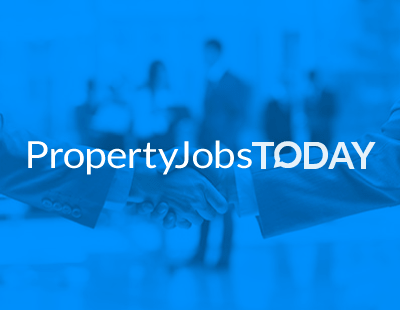 Hello and welcome to Property Jobs Today - your final chance before the Easter break to catch up with the key moves amongst agents and suppliers. Just let us know on press@estateagenttotday.co.uk about any key move, and we’ll tell the industry on this page. Thanks a lot. So let’s start this week with the unusual agency Mr & Mrs Clarke - this opened five years ago, operates as a hybrid and is keen on promoting flexible working amongst its franchisees. Agents can earn 75 per cent of the commission they charge. It’s opened five new branches this year as franchisees have joined: its latest three are Christian Eldershaw, previously head of sales at The Modern House, who is working across Hackney and Haringey in north London. Damian Bligh and Zac Ship have launched Mr & Mrs Clarke in Surrey and Kent - they previously ran an office for an independent agency. And Mike Watkins partnered with Mr & Mrs Clarke at the start of April and will be working across South Wales: he comes from a marketing background and has extensive experience in property development. Mr & Mrs Clarke has also expended its HQ team in Brighton - it now consists of three concierges, a marketing account manager, a social media executive, two designers and a photographer. In prime central London there is a new face at the famous Beauchamp Estates - it’s Jeremy Gee who has become the new managing director. Based at the group’s UK headquarters on Curzon Street, he will be in charge of Beauchamp Estates Central London and Home Counties business which has offices/operations in Mayfair, Marylebone, St. John’s Wood and Hampstead. Jeremy has 36 years of experience in the estate agency; he’ll work with Beauchamp Estates founder Gary Hersham who will continue selling the most expensive houses and flats in prime central London and abroad. Jeremy started his career at Benham and Reeves, rising to be one of only three partners in the business by the age of 25. In 1999 Jeremy moved to Glentree and had a successful 18 year partnership with Trevor Abrahmsohn, together growing the firm’s established and new homes businesses. “I’m proud to be joining Beauchamp Estates which is a dynamic and results driven multinational estate agent and a recognised leader in the luxury homes sector. The network of contacts and the insights I bring to the estate agency and new homes sectors will enable me to advise the group’s corporate and private clients on strategy, acquisitions and sales across the capital” he says. In Scotland Savills has launched a new residential lettings service in Edinburgh with new recruit Charles McCosh heading the team. Born and educated in Edinburgh, Charles pursued his passion for property down south where he enjoyed seven years running offices in London with Marsh & Parsons. He returned to Edinburgh in 2017 to join Rettie & Co and he is ARLA registered on both sides of the border. Now a couple of PropTech firms have appointments news this week too. At online mortgage brokerage Trussle, veteran banker Simon Williams has joined the board as chairman, while product technology executive Supriya Uchil has joined the firm as an advisor. And UK Property Finance plans to double its output this year and expects to hire at least 10 more team members; in the meantime it has announced promotions and new recruits. Internal sales advisor Ewan Duncan is now the new business development manager, while Marley Hill - one of the youngest staff members - as been appointed head of processing, charged with ensuring the team meets deadlines. Luke Hosea has climbed the ranks from senior sales advisor to sales manager while Chris Tremlett comes from an estate agency to become UKPF’s marketing manager. And some names well known in the agency and PropTech worlds have joined the fledgling property development and investment business This Land. One is prominent property lawyer Susan Freeman (pictured bottom left) - a familiar face at, amongst other things, the Future: PropTech annual conference - while another is David Meek (top right): they both become non-executive directors at the firm. They are joined by Jeremy Miller (top left) (ex Countryside Properties, amongst other firms) and Richard Steer (bottom left), respected for spearheading the growth of property consultancy Gleeds.